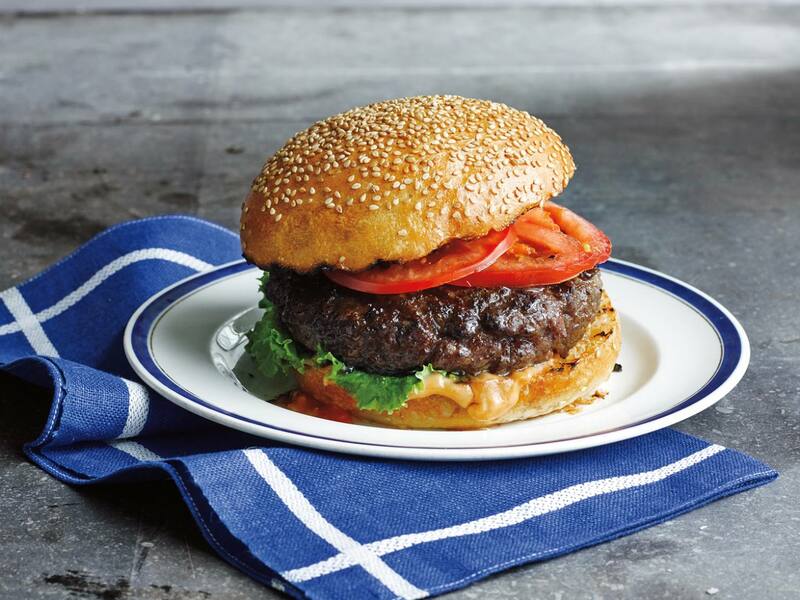 What’s better than a grilled, juicy onion burger? One topped with creamy salsa! 1. 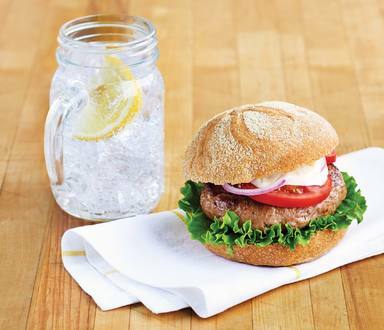 Combine Lipton® Recipe Secrets® Onion Soup Mix, ground beef and water in large bowl; shape into 8 patties. Grill or broil until done. 2. 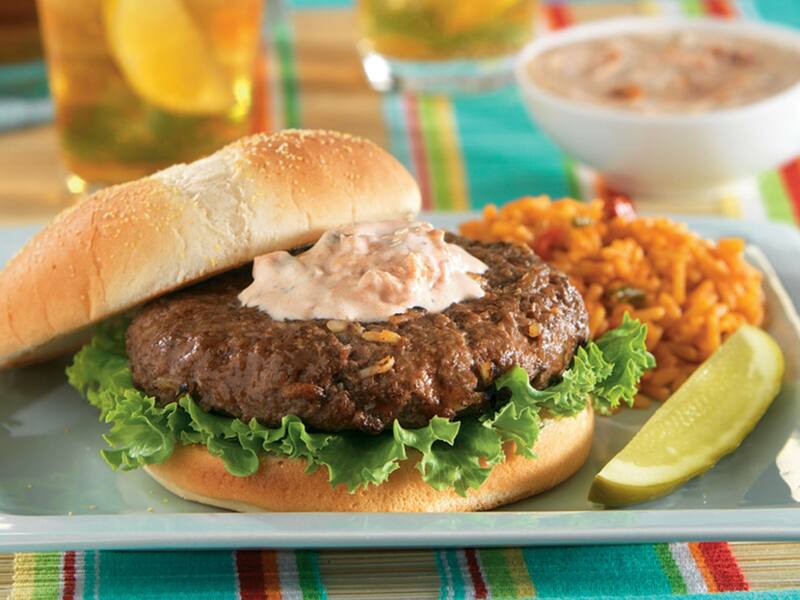 Combine Hellmann's® or Best Foods® Real Mayonnaise with salsa in small bowl. 3. 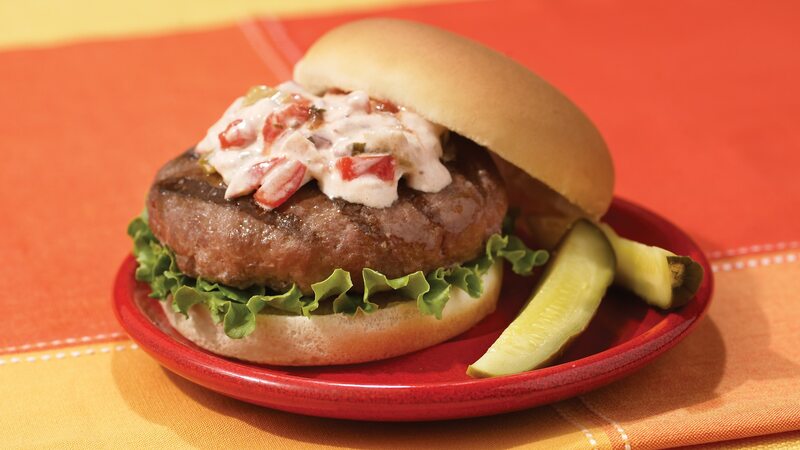 Arrange onion burgers on buns, then top with creamy salsa.